Designed to provide in-ground lighting solutions, the Nova Star is ideal for up-lighting a variety of elements, from trees and shrubs to pillars and other vertical structures. The die cast brass grate is a standard accessory designed to minimize glare while the designer lenses allow maximum design control by creating various beam spreads and light output. Precision machined grate with captivated stainless steel screws. Accepts up to one additional lens/hex cell accessory. 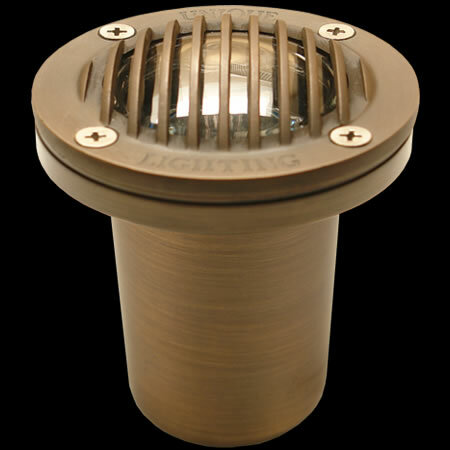 The Signature Series Family of products from Unique Lighting Systems® carries a Limited Lifetime Warranty against manufacturer’s defects.